Poland-Libya. 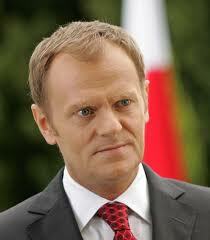 Tusk criticizes Europe for its “hypocrisy” and low protection of civilians. Poland highlights the European “hypocrisy” in Northern Africa. This is one of the main reasons behind Warsaw’s decision not to participate in NATO’s military operations in Libya, Polish Prime Minister Donald Tusk told Gazeta Wyborcza. According to him, Europe risks creating the impression it only intervene when oil supplies are at stake. In future Poland, a usually staunch NATO ally that sent soldiers to Iraq and still has 2,600 troops in Afghanistan, “will take decisions on military involvement elsewhere only when” there’s “a 100 percent conviction that it is absolutely necessary,” explained Mr. Tusk. Warsaw that assumes the European Union’s rotating six-month presidency in July is also a close ally to the United States. President Obama decided to withdraw its military after the first days of the intervention. Poland has no national interests in Libya and faces parliamentary elections in autumn. The current war has shown that the EU does not have a common foreign policy that it is still in the hands of the states. French president Sarkozy and British Prime minister Cameron’s initiative in Africa has provoked divisions in the 27-nation bloc. Poland is the biggest beneficiary of the regional EU aids. Talks on the EU’s next multi-year budget are set to begin later this year under the Polish presidency. At that time it would be important not to forget other types of “hypocrisy”.